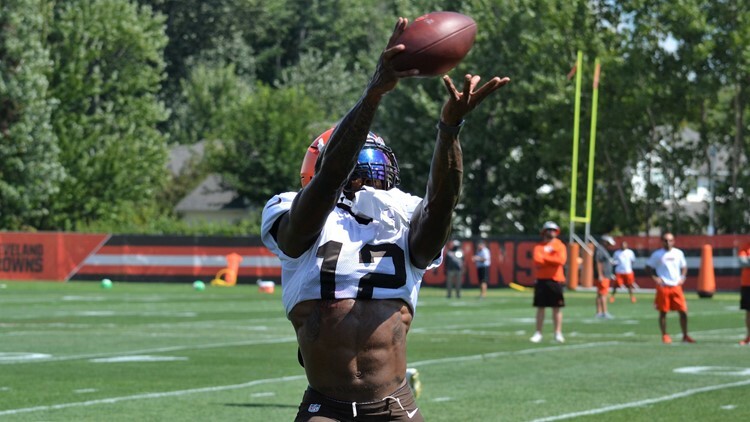 The Cleveland Browns agreed to trade wide receiver Josh Gordon to the New England Patriots. 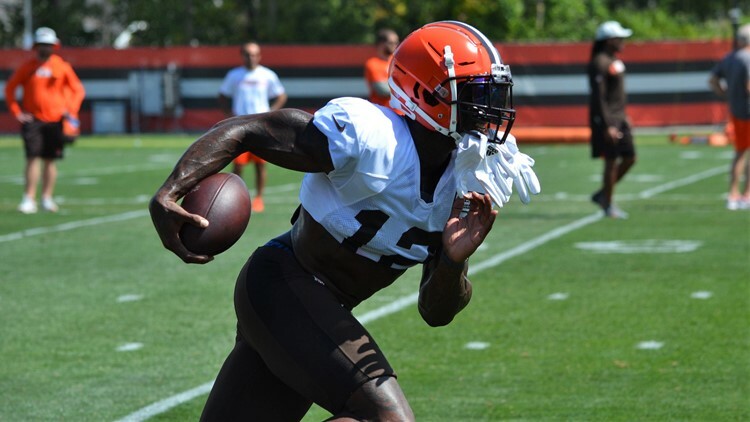 CLEVELAND -- The Cleveland Browns have traded wide receiver Josh Gordon to the New England Patriots. After sticking by the talented, yet troubled wide receiver through multiple suspensions and off-the-field issues, the Browns reached the breaking point over the weekend when reportedly, Gordon was late to the team facility and showed up with a hamstring injury that took part in a non-team sanctioned event Friday. 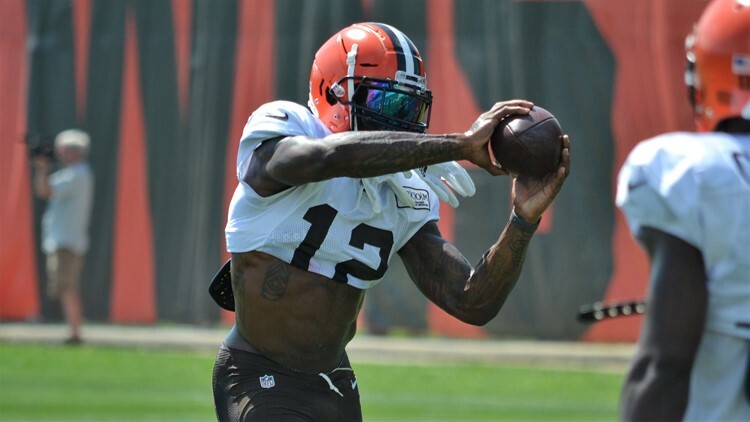 The Browns announced their intentions to release Gordon after landing in New Orleans for Sunday’s game against the Saints at the Mercedes-Benz Superdome. Earlier in the day, the Browns announced Gordon was ruled out for the game because of a hamstring injury. Gordon spent most of training camp away from the team while tending to personal matters. Although Gordon missed all of training camp and the preseason, he saw plenty of action against the Steelers. Gordon was on the field for 69 snaps (78 percent of the Browns’ plays), but had only three passes thrown his way. Gordon hauled in a 17-yard touchdown pass from quarterback Tyrod Taylor that allowed the Browns to draw even with the Steelers and force overtime, where the game ended in a 21-21 tie, a first in the 68-year history of the rivalry. 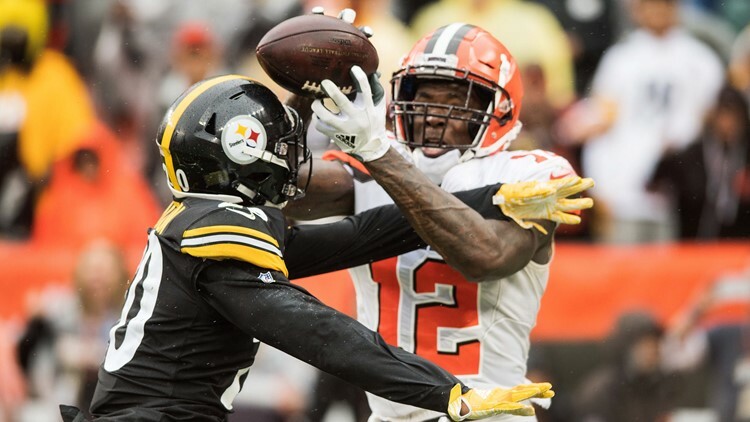 Cleveland Browns wide receiver Josh Gordon (12) catches a touchdown as Pittsburgh Steelers cornerback Cameron Sutton (20) defends during the fourth quarter at FirstEnergy Stadium. A second-round pick of the Browns in the 2012 NFL Supplemental Draft, Gordon turned 180 catches into 3,106 yards and 16 touchdowns. A Pro Bowl player in 2013, Gordon set a franchise record with an NFL-best 1,646 yards on 87 receptions with nine of those catches going for touchdowns after missing the first two games of the season because of a suspension. Cleveland Browns wide receiver Josh Gordon stretches to make a catch during Wednesday's practice for this weekend's regular-season opener against the Pittsburgh Steelers at FirstEnergy Stadium in Cleveland. The Browns got a glimpse of what a healthy and focused Gordon could do over the last five games of the 2017 season after his return from his latest NFL-mandated suspension, which lasted nearly three full seasons. In those five games, Gordon turned 18 catches into 335 yards and one touchdown. Additionally, Gordon was on the receiving end of five passes that went for gains of at least 20 yards and converted 12 first downs.